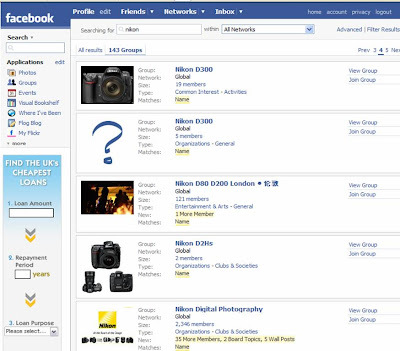 5 great examples of retailers using Facebook! Most of the headlines gained recently by Facebook Groups have been around Groups that have been used to protest about certain issues. The most interesting use of Groups though is by retailers trying to create a deeper engagement with their consumers. Some are doing things very well, others are finding that it is not working as well as they had perhaps anticipated! 87,192 members in the Facebook Group PRIMARK APPRECIATION SOCIETY! People share views about their shopping experience or to exchange tips on what to buy or which stores to go to. It doesn't appear to be a corporate Group and there are no special offers, no discounts or pictures of latest fashions - it just seems to be a spontaneous gathering of consumers developing a common identity around a retail label. Great use of an application. This application allows you to go into Amazon, select books and show them on your profile on a 'virtual bookshelf'. You can group books into categories - have read / reading now / want to read and you can also write reviews. There are various Nikon appreciation Groups. Not strictly a retailer but a great example and one that retailers could follow. Encouraging users to post photographs they have taken with their Nikon cameras has encouraged a dialogue and has enabled consumers to exchange tips and interact with each other in a way that would not have been possible pre-the Web 2.0 world. (There is no reason why a retailer could not use this format to encourage consumers to show off things they had bought etc). There are over 2000 photos on this one group alone and I think this is a powerful way of engaging with the consumer and building brand credentials. A group available for current and past employees. There are some interesting revelations aswell as entertaining photos from around the store! This group is for employees to discuss how 'stupid' and 'irritating' customers can be. 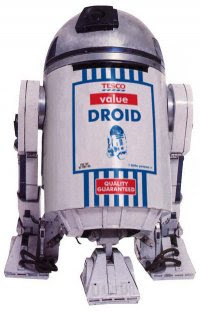 Quite entertaining in parts and a nice picture of a 'Value Droid', though again not quite sure how well this sort of thing would go down with senior management?! There are other groups like 'I Love Tesco' and various 'Tesco Appreciation society' groups, but I think the groups highlighted above show the potential dangers to a corporate brand that Facebook can present. 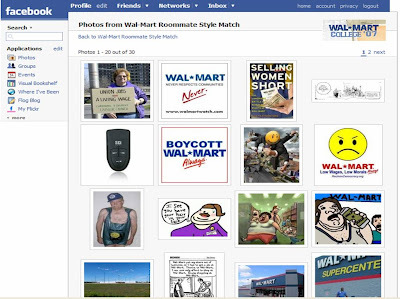 5) Wal-Mart - how not to use Facebook to promote your store! After a disastrous attempt to use MySpace (10 weeks before it was pulled), Wall-Mart have ventured onto Facebook and set up an official group. They are aiming to promote Back-to-college products, but the strategy is not working. The way this was PR'd, and the way the group is (over) designed, feels alien in the Facebook world. As such it is viewed as a cynical, big business, corporation trying to muscle into a personal medium in order to sell stuff. The examples above show how careful retailers have to be when trying to engage their customers and employees through Facebook Groups. The Primark Group is a great example of how well it can work when things go right whereas Wal-Mart have given everyone a great case study of what not to do!